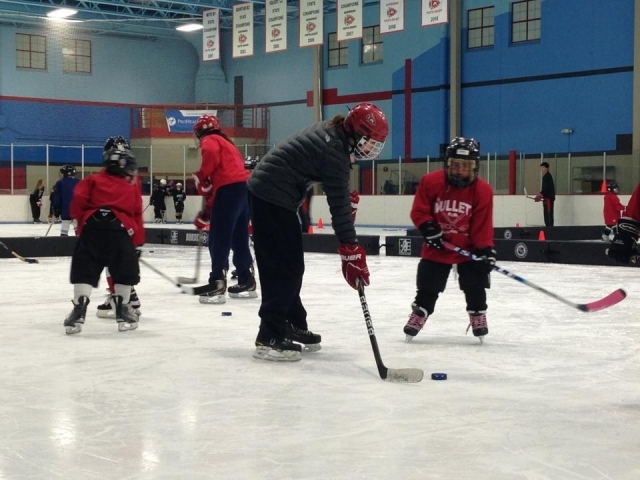 Learn To Play Hockey is for beginners between the ages of 5-10 who would like to learn the basics of hockey, including the fundamentals of the game like skating, stickhandling, shooting, passing and receiving. Participants should have the ability to skate forward (Ideally from a Learn to Skate session or two). Full Hockey equipment is required. Program is lead by AHS Director of Skill Development, Nick Szalacinski and members from the Arrowhead HS Boys and Girls Hockey teams. Class sizes are limited, sign-up early!